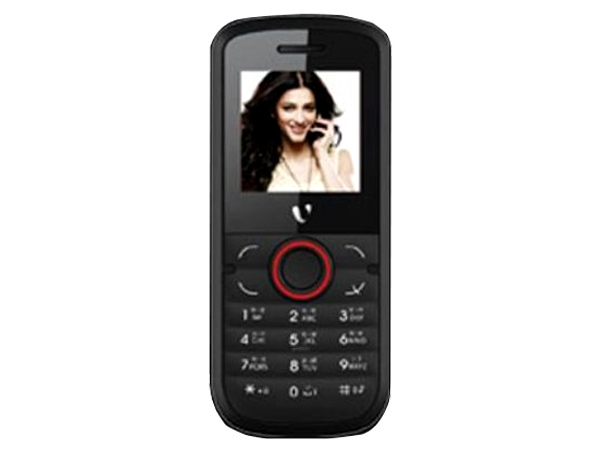 Videocon V1280 is a music phone that comes in a simple-classic design along with 3.6 cms (1.44�) TFT Screen Display with Hindi Keypad, Dual Sim-Dual Standby, up to 2 GB T-Flash Expandable Memory, LED Torch, MP3/MP4 Player, Audio Player, Wireless FM Radio with Recording, Preloaded Games and includes many more other additional basic features. It has long lasting Li-ion 1000mAh battery that gives talk time up to 6.5 hours and standby time up to 8 days. The handset comes in a measurement of 108 x 46.8 x 14.6mm operating at Dual Band GSM 900/1800 MHz frequency.